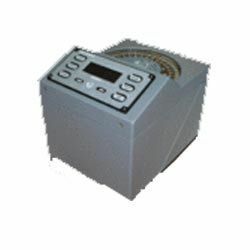 Our product range includes a wide range of electronic display board, data acquisition unit, data logger, voice recording - marine equipments, stewart call system - marine equipments and wind alarm system - marine equipments. In this day and age of ever improving vessel performance, it becomes increasingly important to take full advantage of all the available data on board. The Acquisition Unit is the ultimate solution to acquire this relevant vessel data. The modular design is easily adaptable to the specific conditions of each and every vessel. The acquired data can also be sent, via the vessel's LAN, to the owner's office for further evaluation as necessary. the modules are DNVGL type approved in accordance with IEC 60945. 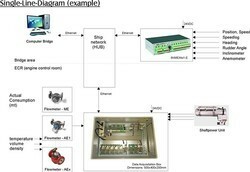 Data logger system to collect, to store, to replay and to analyze a variety of signals. Due to the modular design it is possible to optimally adjust the system to any requirement to always get a customized solution. 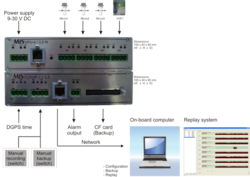 Steward Call System is a modular system. After pressing one of the call buttons, the Steward Call System will give a visual and acoustical indication on each connected information terminal until the steward confirms the call. The wind alarm system has been developed to store and analyze the wind speed. In certain wind speeds, a visual and an audible alarm will triggered. The alarm thresholds can be adjusted individually. Furthermore, the wind speeds saved on a Compact Flash and can be used for analysis purposes. The BNWAS was developed to detect the awareness of the officer of watch (OOW) to avoid accidents. In case the OOW is incapable, the system automatically generates several alarm stages. Due to its modular design it will be possible to suit on each dimension of vessel. 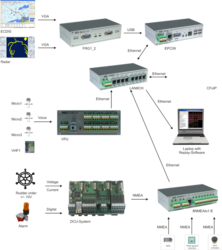 The Bridge Navigation Watch Alarm System also have the capability to generates alarms at un-acknowledges alarms from nautical equipment. The Walker 2050 uses a Combined Anemometer Cup & Vane Direction Sensor, the P296. This gives high accuracy in a robust compact package! 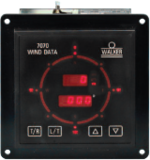 The sensor connects directly to a standard Walker DIN 144 wind speed & direction indicator, the P249, which gives digital displays of relative wind speed & direction. Wind direction is also displayed on a simulated analogue display by 72 LED´s. 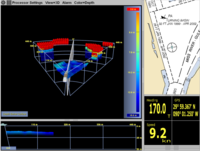 The forward looking sonar system provides navigation data in a 3 dimensional Display presentation with an intuitive user Interface and significant fields of view up to 90°. Flexible mounting methods allow for integration on both surface and sub-surface vessels and along waterside perimeters. The System supports more safety in navigation. 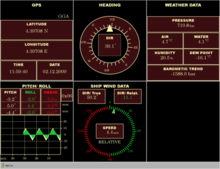 Ship Information System represents a visualisation of incoming sensor data. With a library of available displays, a plurality of visualisation tasks is possible. It is also possible to combine various configurations of displays and switch between them at the press of a button. Due to the modularity presentation of data, it is independent of their type. The customer is able to customize his own display from a range of existing screen views and see key informations easily available for efficient monitoring. We bring forth an impregnable range of Gyro Compass. This Master Gyro Compass is very useful for diverse needs of ships and boats. These master gyro compasses are quick setting, maintains free, low-power and minimum weight. Our compasses are ideal for small to large vessels. These offer ideal solutions like steering, position finding, and course recording. The Gyro Compass when used in combination with an autopilot can automatically lead the ship more precisely than a human helmsman.